Finally! A new moth for the winter! I came across this caterpillar rolled up in the snow. What caused it to emerge from beneath the leaves to the icy surface world is beyond me. 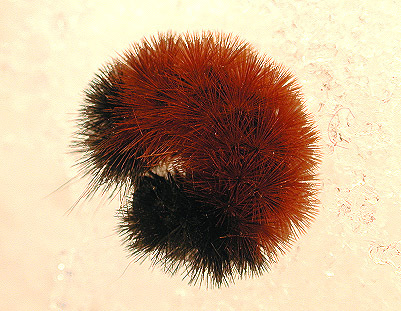 As most of you know, this is the caterpillar that has for generations been used to predict the length and/or severity of winter. Apparently, the greater the red band, the longer the winter. 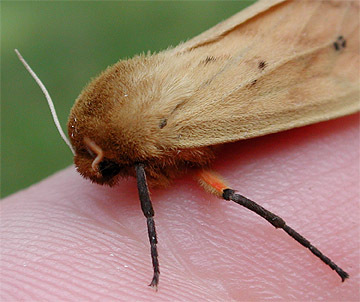 In actuality, the length of the band reflects only the instar stage. The older the caterpillar, the more red it will be. 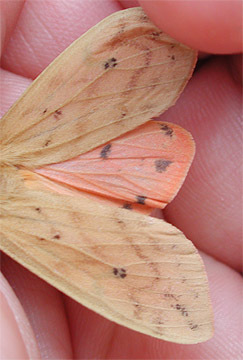 Like many of the Tiger Moths, they overwinter as larvae, curled up beneath the leaf litter at the bases of trees. 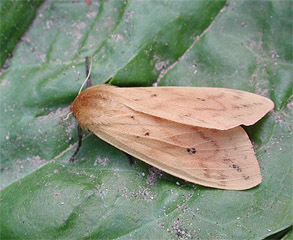 The adult eclose in the spring and are quite attractive with their salmon-colored underwings. I will attempt to rear this one and photograph it. If I'm unsuccessful, I do have other photos that I will post. While this is such a familiar caterpillar - possibly the most recognized species out there - few get to see the adult. And the caterpillar becomes the moth. Note the bright orange femur in contrast to the other black leg parts. Remind you of a similar pattern? It's a nice echo from the caterpillar.